CHICAGO (WLS) -- Chicago police have issued an alert about an attempted kidnapping in the West Lawn neighborhood earlier this month. A 14-year-old girl told police she was walking to the bus stop in the 6700-block of South Pulaski Road at about 7:20 a.m. on September 15 when a man drove up and tried to get her inside his car. The girl ran into a nearby business while the man circled around twice before driving off. Police have released a surveillance image of the suspect's vehicle. 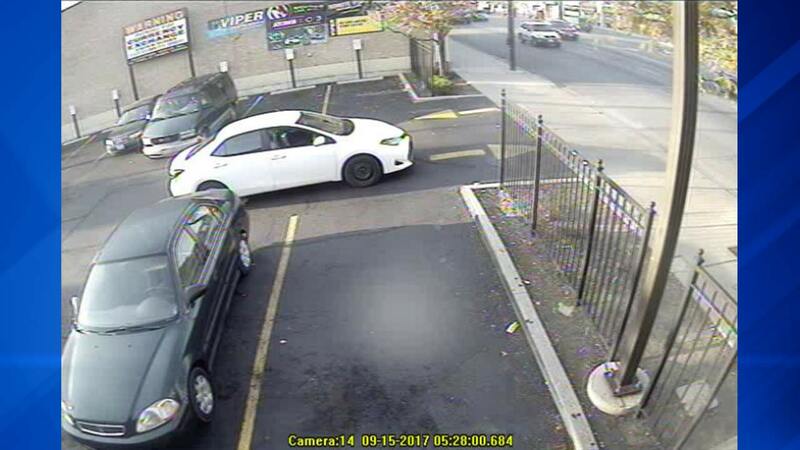 The man was driving a white, four-door car, possibly a Toyota, with Illinois license plate number Q992822. Police said the suspect is black and is believed to be between the ages of 25 and 30. He was last seen wearing a dark gray shirt and had a black low haircut and a full-trimmed beard. Anyone with information is asked to Area Central Detectives at (312) 747-8380.